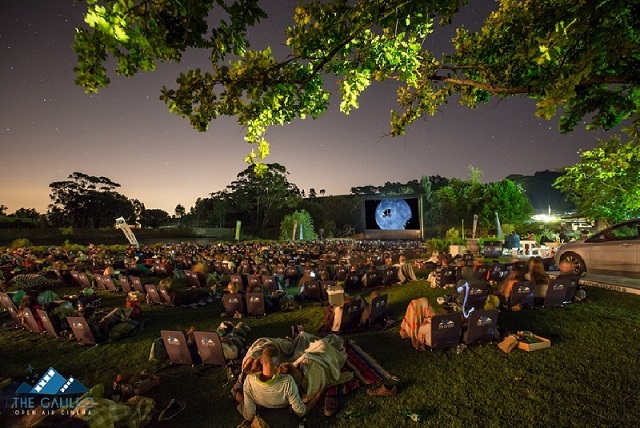 Cape Town’s summer staple and much-loved outdoor movie experience, The Galileo Open Air Cinema, is back! Offering locals and visitors from near and far popular films screened under the stars at venues across Cape Town and the Winelands, The Galileo offers an excellent evening out for film buffs and outdoor enthusiasts alike. The well-known event, which runs from 31 October to the end of April 2018, will showcase a series of silver-screen classics as well as a variety of old time favourites, such as Braveheart at Bloemendal Wine Estate, Bridesmaids at Kirstenbosch Gardens, and Beauty and The Beast at The Castle of Good Hope. There’s something for everyone! Running Tuesday to Friday and on selected Saturdays and Sundays, The Galileo offers the perfect setting for a memorable evening with friends, a ridiculously romantic date, a birthday bash or an outing with the whole family – kids, grannies, granpas, everyone is welcome. Doors open at 6pm on weekdays, 5pm on Saturdays and 4pm on Sundays and the movie starts as soon as it’s dark. Arrive early, find your spot on the lawn and enjoy an evening of artisanal food and drinks, games, lively music and an overall great vibe. Prefer to spend time relaxing with your significant other (or others)? No problem – The Galileo has added tasty picnic packs to their offering this year. Order in advance from www.thegalileo.co.za and collect your pack when you check-in – put your feet up and enjoy. Popular venues Kirstenbosch Gardens and the V&A Waterfront remain as weeknight hosts, with new spot on the block Bloemendal Wine Estate in Durbanville taking up the Tuesday night slot. Friday nights work on rotation – moving between Meerendal Wine Estate, Fedisa Rooftop, Central Park in Century City, The Castle of Good Hope and The Alphen Boutique Hotel. If getting out of the city (with a glass of vino in hand) sounds appealing, you can catch Saturday screenings at select wine estates in Paarl, Stellenbosch, Franschhoek and Somerset West. You’re spoilt for choice this year – we recommend that you visit them all. Don’t delay, book today to reserve your seat amongst the stars. Visit www.thegalileo.co.za to book tickets and to view this season’s line-up.